The Niobrara River Polar Bear Festival will take place this weekend in Meadville! On Friday, there will be a social gathering at 5pm. At 7, the Polar Bear Festival Kick-Off party will be held at the Meadville Store followed by kopy cat karaoke at 9pm. On Saturday, a liquid courage party will happen at the Meadville Store followed by registration starting at noon. 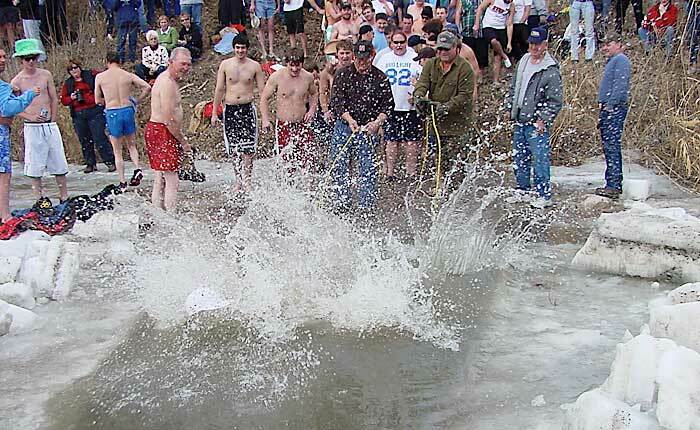 At 2pm the annual Polar Bear Dip will happen in the Niobrara River at Meadville Park. At 2 the coronation of the Polar Bear King and Queen will take place. Live music will be provided by “New, Old and Broke” at the Meadville Store following the plunge. Free-will donations will be taken for Keya Paha Fire and Rescue. All dippers must register in advance. For more information call Becca at 402-382-5252.